Sam Rowlands talked about various ways of overcoming non-legal barriers to access to abortion. Ingrid Sääv said it is safe to insert intrauterine devices in the first week following early medical abortion as long as a continuing pregnancy has been excluded. 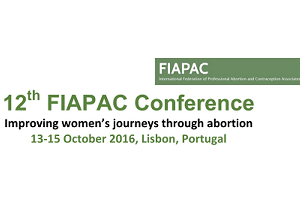 Helena Kopp Kallner spoke about inserting contraceptive implants one hour after mifepristone administration in early medical abortion. She emphasised how this immediate insertion is safe, acceptable and does not interfere with the action of the mifepristone. Vesna Stepanic gave a presentation about contraceptive use, unintended pregnancy and abortion in Croatia. She reported on a successful symposium she organised with an ESC grant in Zagreb. More information about this congress can be found here.